Try out Hulu Plus FREE for a MONTH! Get a FREE MONTH of Hulu Plus from Scott Shared Values! When I started with Hulu Plus I only got 2 weeks for free. :/ So this is a great deal!! 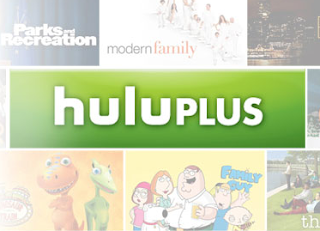 Hulu Plus offers unlimited instant streaming of current hit shows, classic series, kids’ shows and acclaimed movies - all available on TVs, tablets, smartphones and many other connected devices in HD. Watch any current season episode of top shows like "Modern Family", "The Office" and "Gossip Girl", or catch up on popular, ad-free kids’ shows, including "SpongeBob SquarePants", "Caillou" and many more. Offer available only to new subscribers. Limit one offer per person. You will be required to create an account and provide a valid credit card. After your free trial expires, your subscription will automatically continue at the monthly rate of $7.99 plus applicable tax unless you cancel prior to the end of the 1-month free trial. Limited time offer. Other restrictions apply.